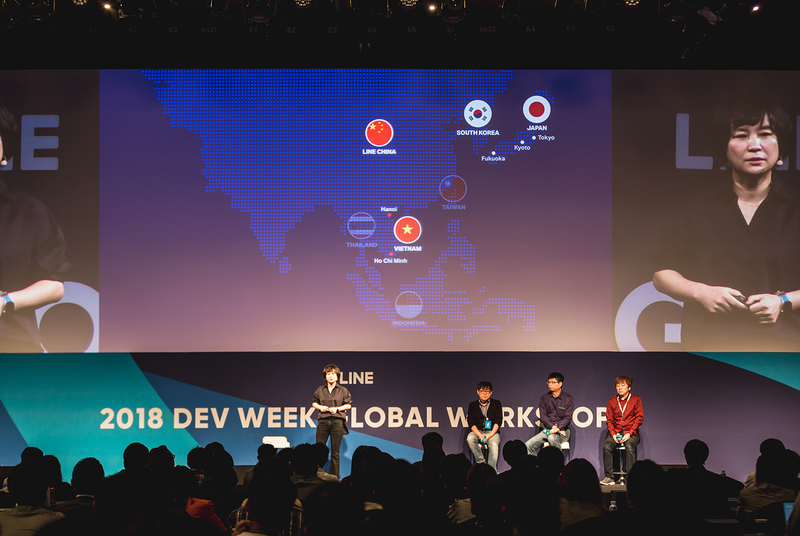 SEOUL, South Korea – April 20, 2018 – 2018 DEV WEEK wrapped up today, with 1,000 LINE Corporation developers from around the world gathering in Seoul for four days of in-depth workshops and presentations about the biggest challenges facing the future of IT. LINE’s engineers explored the ideas and technologies that will take LINE to the next level as a smart portal and all-in-one communications platform. This was the fourth DEV WEEK held since 2013, and once again the event provided developers an important opportunity to learn about the biggest trends and advances made recently at LINE, as well as to get a big-picture view of how the company plans on growing in the future. With engineers on hand from Korea, Japan, Taiwan, Thailand, Vietnam, Indonesia and China, participants enjoyed three days of workshops on a wide range of topics, followed by one day of sharing, debates and presentations. From April 17 to 19, workshops covered some 30 topics, as developers from each field held in-depth discussions about their concerns and the problems they have encountered in their work, possible solutions and a roadmap for major projects in 2018. On April 20, the leaders from each of LINE's major sections gave presentations, capped by a keynote address by Chief Technology Officer Euivin Park to all the attendees. A particular focus of Park's presentation looked at LINE's global expansion of developer bases — most recently opened in Japan (Kyoto), Vietnam (Hanoi, Ho Chi Mihn City) and China (Dalian) — and how engineers in all those locations have worked together to complete a variety of important projects. 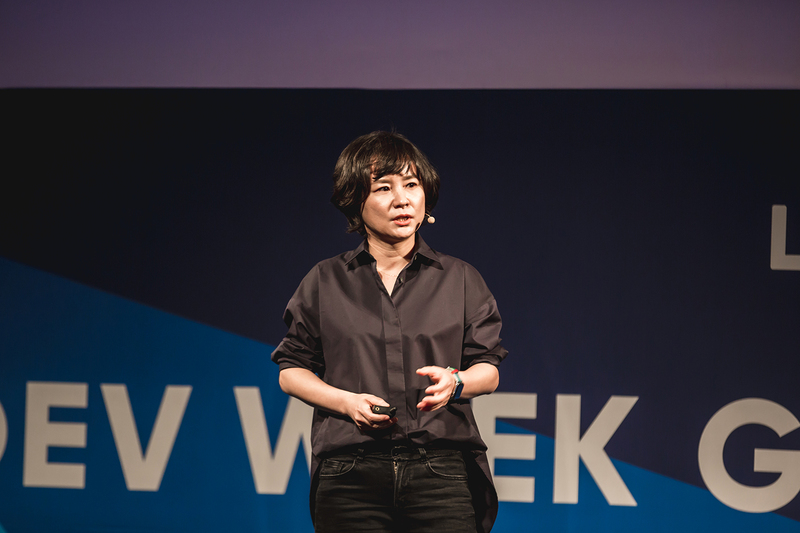 She also noted how LINE, as part of its dedication to building a tech ecosystem, has plans to allow the tailoring of messaging services through offering PaaS (Platform as a Service) in various markets. Since the messaging API was released at DEVELOPER DAY 2016 in Japan, more than 283,000 LINE chatbots have been created, showing LINE's commitment to expanding the bot ecosystem. Now LINE plans to provide an even greater diversity of messaging types to create an open API world for both users and developers. Park also explained how LINE is working on building a token economy by adopting blockchain technology into LINE’s various features and opening dApps based on incentive-type information services. But LINE also will go even further, with plans to support accelerating the development of dApp services outside of the LINE platform and develop its own blockchain mainnet in the near future. To achive this, LINE is actively setting up developer bases and speeding up talent acquisition in other regions, as well as adding to unblock and Blockchain Lab in Korea and Japan. 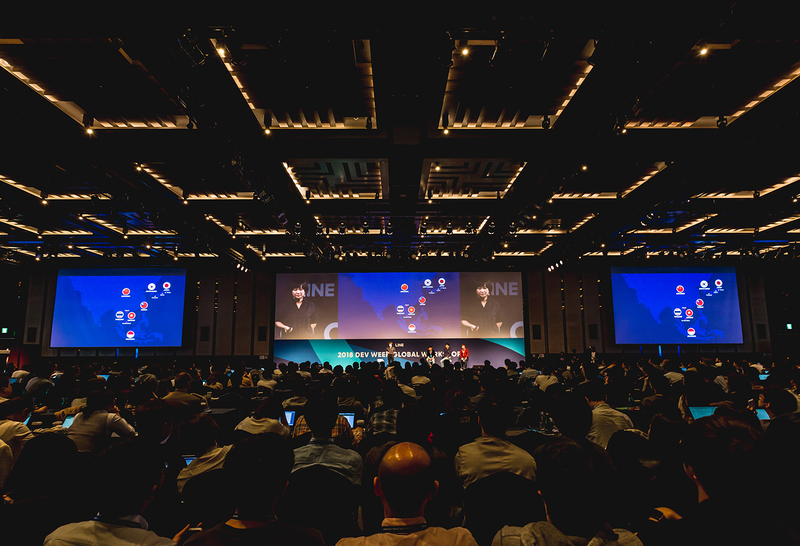 "The outstanding abilities and determination of LINE's developers have played an indispensable role in creating LINE’s industry-leading services and reliable reputation," said Euivin Park. "LINE is doing all it can to build a culture where developers encourage each other and grow together. DEV WEEK is a cornerstone for shaping that collaborative approach, providing a forum for all our developers around the world and helping to make LINE a worldwide leader in technology." Based in Japan, LINE Corporation (NYSE:LN/TSE:3938) is dedicated to the mission of "Closing the Distance," bringing together people, information and society. The LINE messaging app launched in June 2011 and has since grown into a diversified global platform, providing a range of services and content.